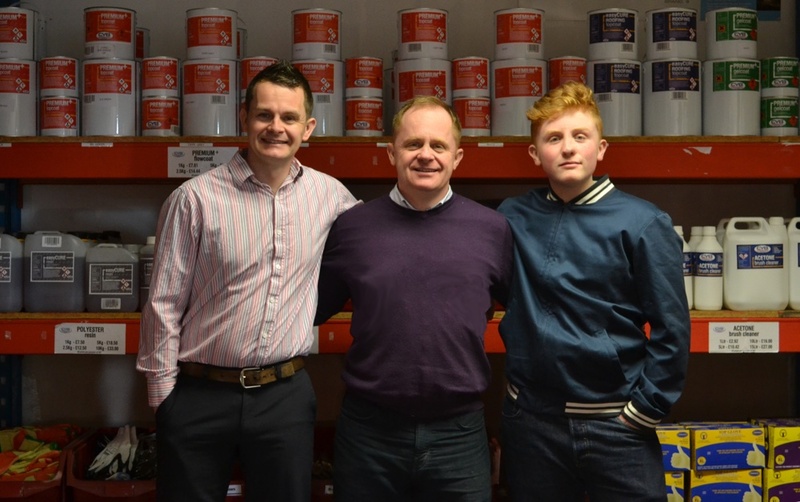 As one of the UK's leading names in fiberglass flat roofing supplies, CYB has double the reason to celebrate in 2016, following a period of change that saw the business welcome a new pair of hands at the wheel last May. Having established a respected and reputable brand name since 1967, the family based company finally looked for a change at the helm, following almost 50 fruitful years of yacht building and fiberglass based architecture. Original founder Eric Birch, has dedicated the last 40 years of his life to instilling traditional family values into the business, before passing it on to his daughter Angela. Angela has continued to guide the business from success to success, however in May 2015 Angela finally decided the time was right to step aside and pass the mantle on to somebody new. A CYB employee and long standing family friend, Steven Crowhurst has always been passionate about the business, having worked in the industry for over 25 years. So it seemed only fitting that the company should pass on to Steven when the opportunity arose. Having wasted no time since taking over, Steven has now secured a sole supplier status for a BBA accredited 'Tekseal Roofing System'. A glass-reinforced, liquid- applied waterproofing system which uses the very latest in construction technology, CYB will be the only UK stockist and training outlet for the Tekseal system. As a company created around traditional family values, CYB are very much driven by customer satisfaction and personal pride in their workmanship. As part of this commitment to putting the customer first, the company currently offer a 25 year guarantee backed by the BBA accreditation. Other guarantees are available with CYB. For any technical information from our technical guru’s contact us.